Sep. 25, 2017 7:00 a.m.
Red Deer business owner Robert Friss is vying for a seat on City council in this year’s election. 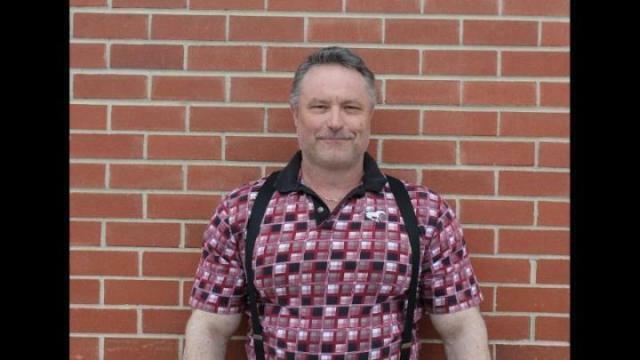 As the owner of Rob’s Pro Muscle and Power Tanning and Rob’s Gym, Friss has an idea of what the business community is like here in Red Deer. Friss has a political science degree from the University of Victoria and has always followed politics, and thought he’d like to give it a go. “I thought I might turn the page and do something I haven’t tried before. Another aspect is I’m very nervous about the business environment in Red Deer. We’re losing businesses. We’re not only losing businesses, we’re losing a market,” said Friss. He said he’s seen a lot of people closing their doors and that in small business, some people’s dreams are now becoming nightmares. He said someone is going to need to make it a priority to think about how to fill up the Edgar Industrial area, and how to maintain the downtown. “The downtown of any city in my opinion is the heart of every town. We don’t have a heartbeat going on. Nobody wants to come downtown,” he said, adding that people are scared to come downtown and don’t feel like shopping downtown. Friss believes the recent Capstone at Riverlands plan, which involves a bit of commercial and residential should be scrapped. He believes the land should be used for something like a hotel or a Las Vegas-style casino or a nice concert hall, where acts can come in to perform. He compared the situation to that of Edmonton, which brought in a Colosseum, which brings in thousands of people to the downtown area. Friss hopes to take an economic aggressive measure to see how they can bring and keep money in Red Deer. He said if we don’t have business we’re not going to have culture or an environment. “I think we have to have a very concentrated effort on our economy locally here and then branch out from there,” he said. He said, this will not be a part time job, it will be his total focus and dedication. He said he cares about the people of the community. His wish list for crime in the City is to include a Red Deer City police force instead of RCMP. He said when you deal with the federal government, that’s money going to them, and the RCMP seem to come and go looking for the next assignment. “If we had a city police (force) where people live here, they live in Laredo, they live in Oriole Park, people get to know them,” he said adding they would be more apt to invest in their city.